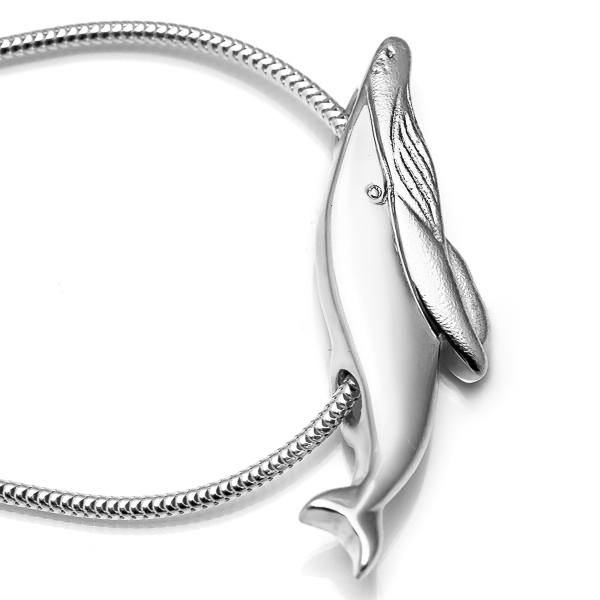 This whale necklace features a baby humpback whale swimming peacefully. 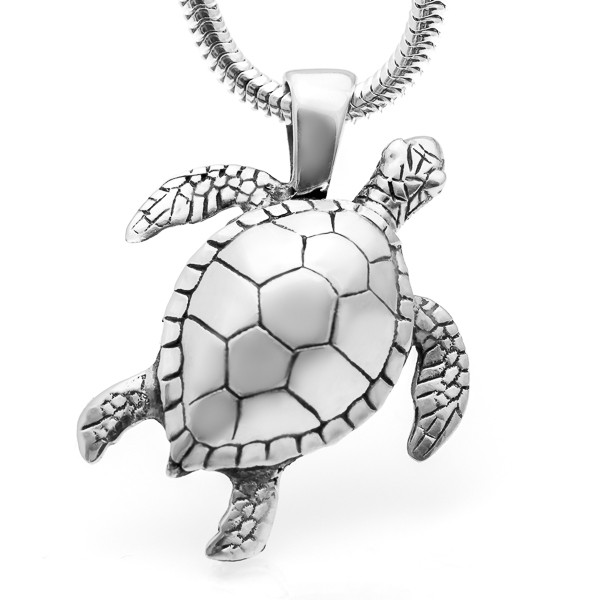 The chain threads through the back of the pendant, giving the necklace a clean, elegant look. A combination of glossy and matte textures really sets this piece off. This pendant is available in sterling silver or 9ct yellow gold (white gold, rose gold and other metals also available on request). 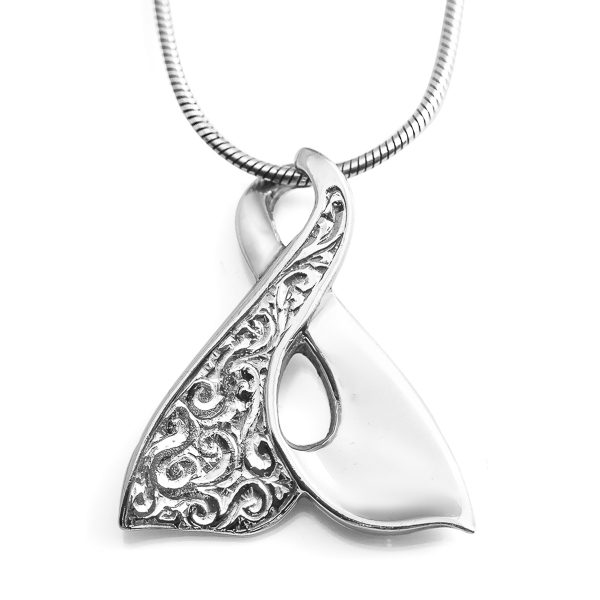 Silver pendant comes on a 42cm sterling silver snake chain necklace in our signature World Treasure gift pouch. Gold pendant comes with a complimentary gold colored silk cord as well as a World Treasure gift box and bag. Free shipping worldwide on all orders.